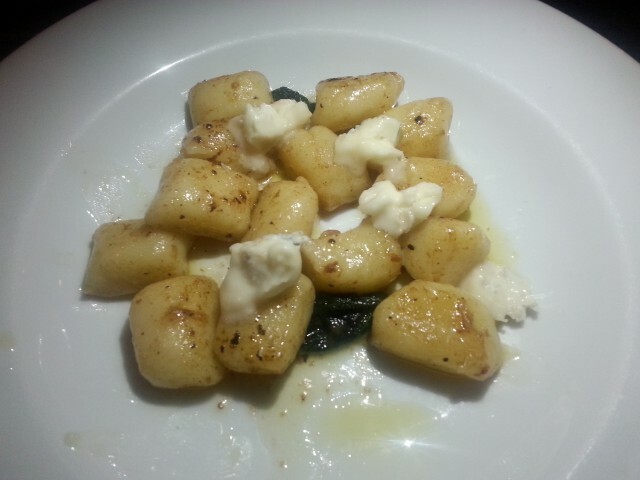 One of my most memorable feasts ever was an Italian one. Vini e Vecchi Sapori is a tiny family run spot down a lane way in Florence, a favourite with locals that’s hidden from all but the most in-the-know tourists. I booked weeks out to secure one of a handful of tables. The seasonal menu changes daily and is lovingly hand written. And, as you’ll see from my memento menu below even the drinks selection simply reads ‘vino & birra’, and clearly there’s ‘no pizza, no bistecca & no ice’. An Italian nonna prepares the food in a pocket sized kitchen alongside her husband and their son, the sole waiter. 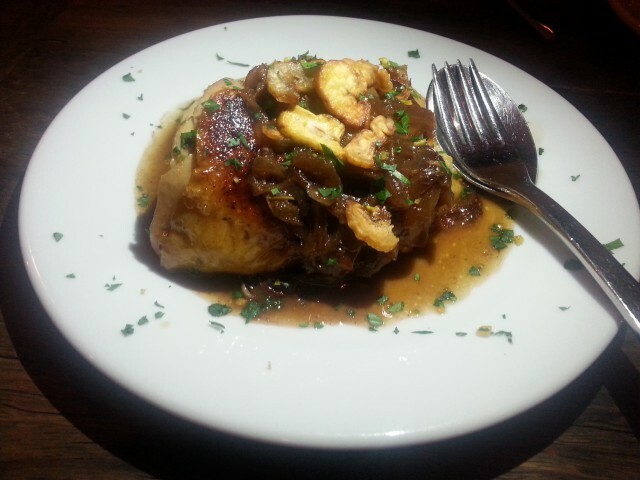 Removing some of the bells and whistles we associate with dining out made for a magical experience. Anyway I reference Vini e Vecchi Sapori because of its similarity to Sagra. 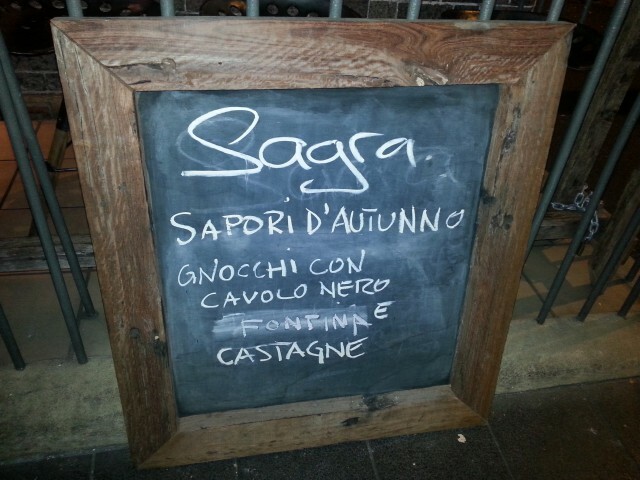 Sagra offers everything I’ve told you about Vini e Vecchi Sapori and more. 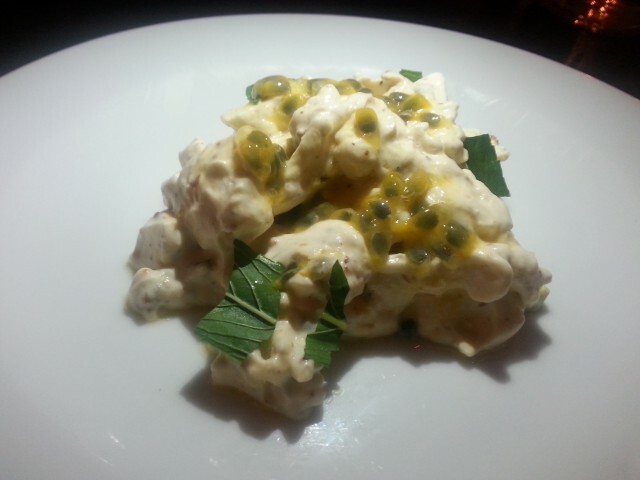 A familial feel, limited tables, simple ingredients, a short ‘everything is divine’ menu. 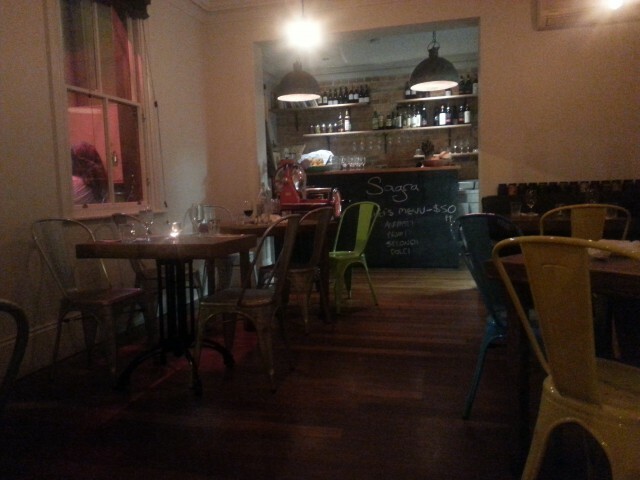 Sagra sits comfortably in a small terrace on the corner of Stanley and Riley Streets. 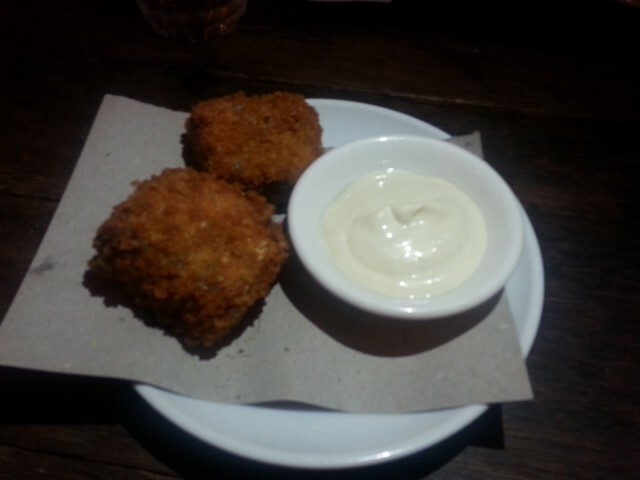 Outside you can perch at a cosy bar cleverly built into the verandah fencing, with an aperitivo in hand. Inside around 10 tables fit into small space, which probably in years gone by housed a lounge and dining room. Don’t read too much into the modest and minimalist interior. What’s there tells a story. For example the tables are hand crafted from recycled Australian wood by Timbermill – a local company who recently made me some custom bar stools. The decor, like the food, showcases simplicity as it’s best. Nigel Ward, the young owner and head chef, has experience spanning Sean’s Panorama and Lucio’s in Sydney and more recently an upmarket trattoria in London. 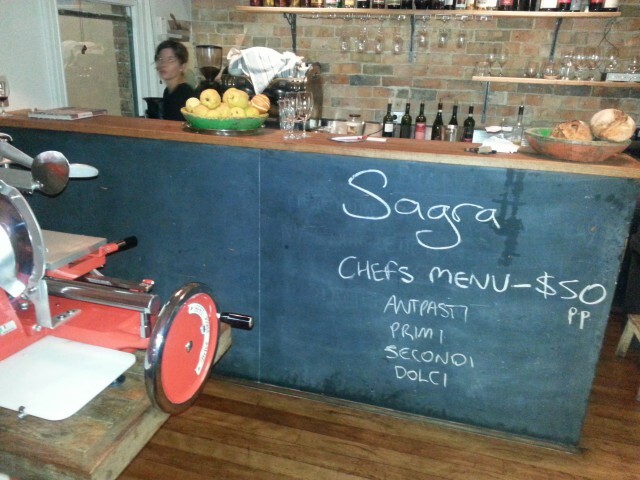 Although not Italian himself his time in Italy inspired him to open Sagra. Nigel aims to replicate authentic Italian dining with “seasonal, fuss-free food, prepared with love and restraint”. The bread and pasta are made in house, and the meat is purchased from Feather & Bone as whole carcasses (each one is then butchered and every last cut is put to good use). 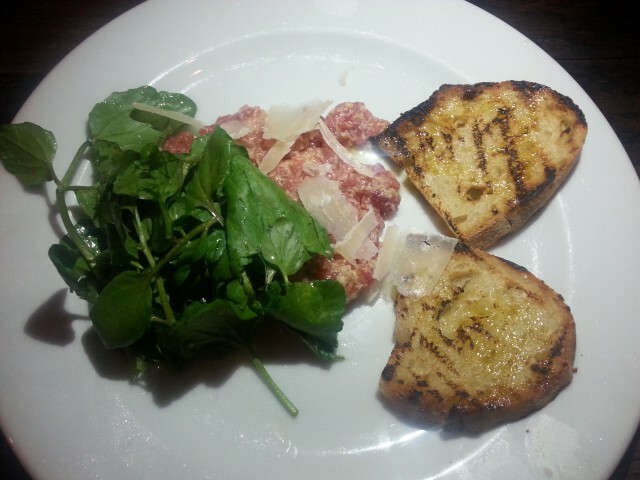 The Italian wine list is short and, like the food, changes regularly. The good news is that you can enjoy a great bottle of red for around $40. Onto the food. 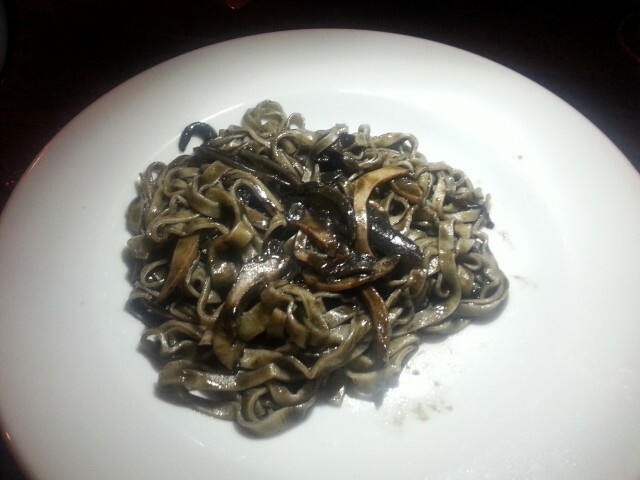 I could live on Italian food alone and be very happy. So it’s no wonder I wanted to try everything on the short menu. 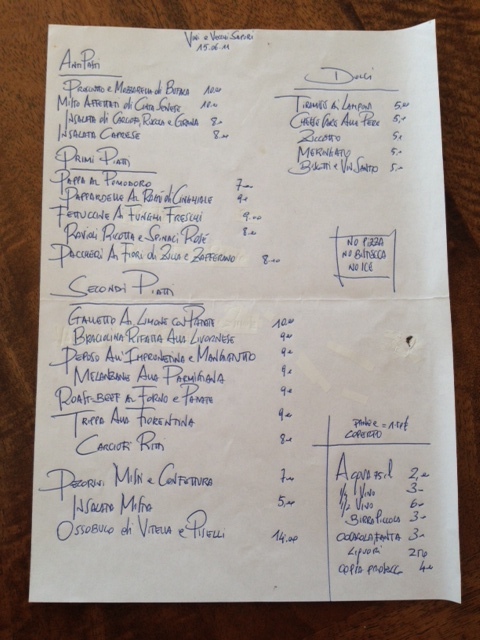 It’s a menu that, as you’ll see from the date stamp, changes daily and is made up of a few each of antipasti, primi, secondi and contorni. Although ordering one of everything was tempting the $50 special menu offered a less gluttonous alternative. This menu isn’t for fussy eaters because you’re blind to what your feast will comprise before each plate hits your table – it’s all down to the chef’s choice. For me this made a refreshing change, but then I always have hungry eyes and a bottomless belly when it comes to Italian food, regardless of the dish. One at a time the following dishes arrived, each one lovingly described to us by our waiter, a young Italian guy. His intimate knowledge of every ingredient and the regionality of each dish was delivered with a large dose of Italian passion and charm. Smashed meringue with love? Yes – as I was writing this post I emailed Sagra to clarify the smashed meringue dessert – the response I received listed ‘love’ as one of the ingredients. 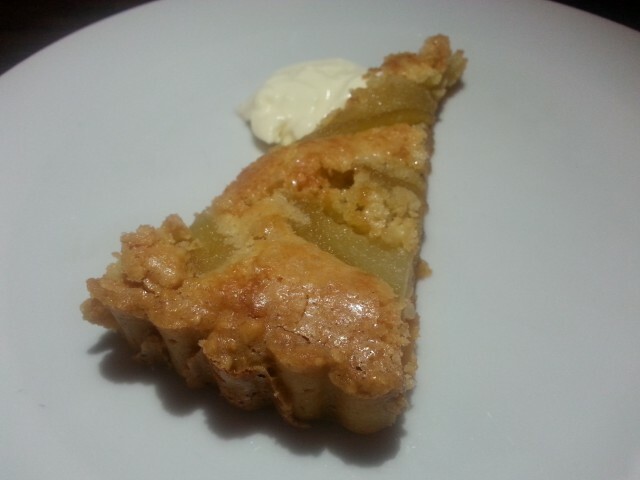 That prompted me to decide not to elaborate on each dish in this post – for fear of repeating myself – because everything is so darn good and made with lots of love. 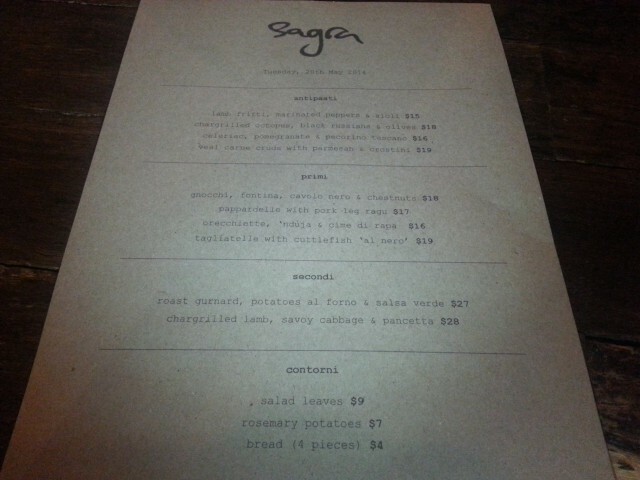 And, chances are, because of the ever-changing menu, when you make it to Sagra you’ll be presented with a different set of options. 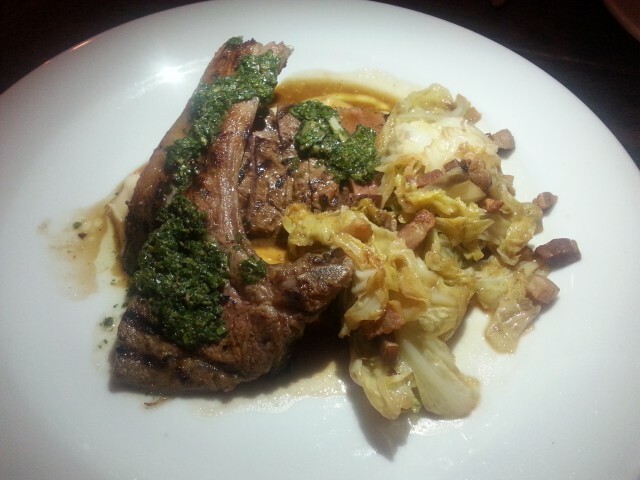 So just go with an open mind and try as much of Sagra’s food love as you can. To end it’s fitting to quote from Sagra’s website – “we opened to be a great local restaurant that gives value for money in every aspect of the experience”. 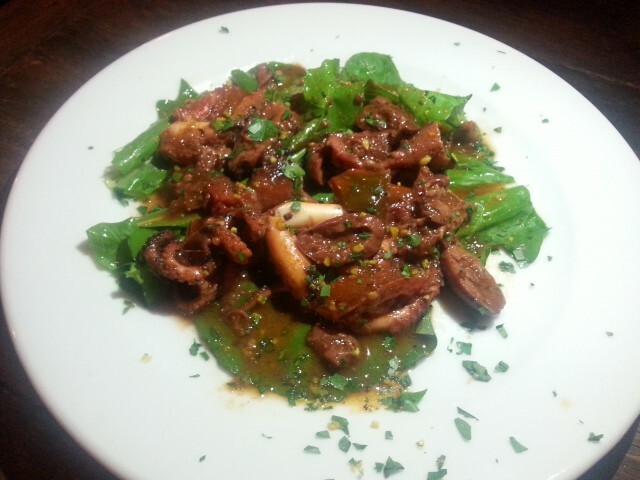 Sagra delivers on this and more. 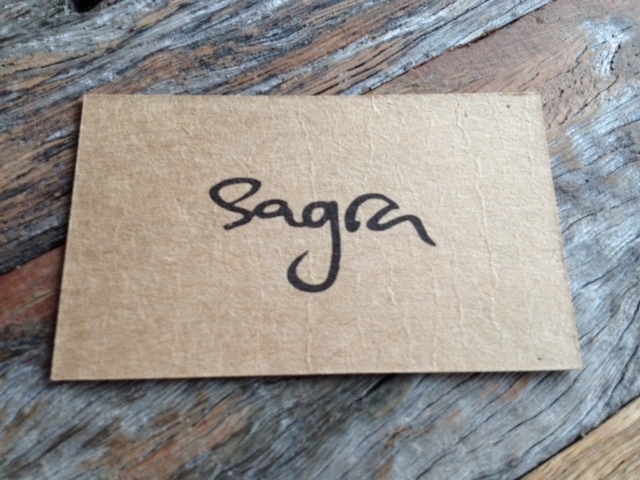 We left Sagra with a modest bill, comfortably full and planning our next visit. In my eyes at least it’s up there with Fratelli Paradiso and Cafe Sopra as one of Sydney’s go to casual Italians that you don’t want to shout too loudly about. I’m determined not to let my Sagra feast remain a one-off memory. 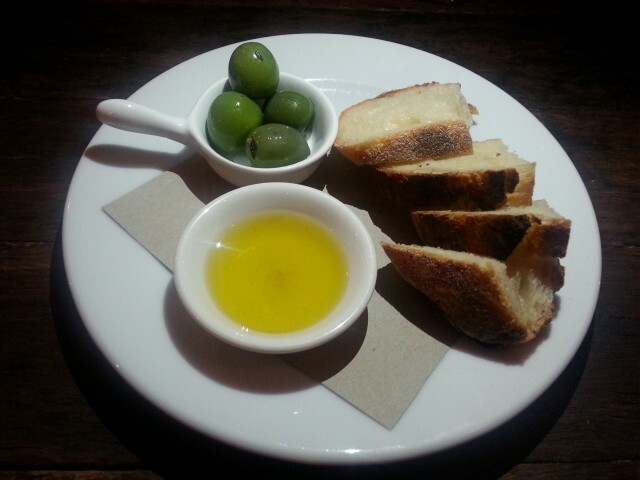 Tags: Darlinghurst, menu, restaurant, review, Sagra, Sydney. Bookmark the permalink. Keep hearing great things about this place. 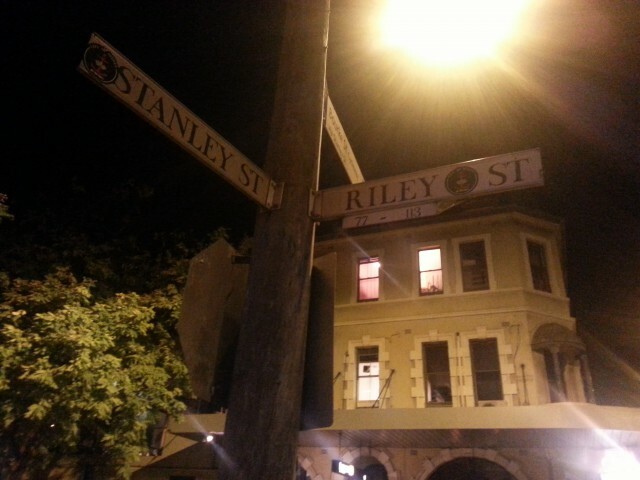 Will have to visit soon! Yes you should – I definetely recommend it if you love Italian food and have enjoyed Cafe Sopra, Fratelli Paradiso and the like…..